Beijing: China's economy grew at its slowest pace in almost three decades in 2018, losing more steam in the last quarter as it battles to quell massive debt and a US trade war, official data showed on Monday. And in a sign of the battle Beijing faces in getting things back on track, growth in the last three months of the year clocked in at 6.4 per cent, matching a low seen during the global financial crisis 10 years ago, with economists widely expecting the slowdown to deepen. "The 'three critical battles' of preventing and defusing financial risks, conducting targeted poverty alleviation, and controlling pollution got off to a good start," said NBS commissioner Ning Jizhe in prepared remarks. The trade war is on hold for now after President Xi Jinping and Trump agreed to a three-month ceasefire while the two sides try to find a resolution, with top negotiators set to meet in Washington at the end of the month. 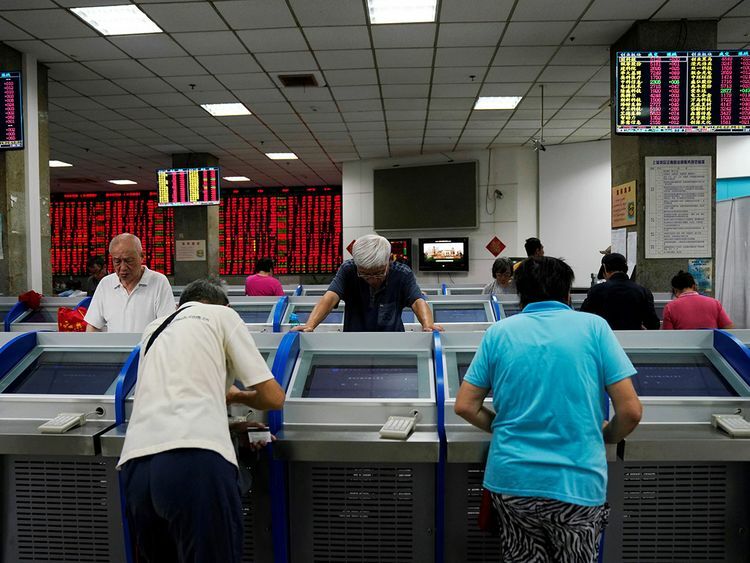 While analysts say the standoff has dented confidence - leaving the stock markets battered and the yuan weakened - they attribute most of the downturn to the government policies to tackle growing debt, financial risk and pollution. China hit the brakes on major projects such as subway lines and motorways and held off on mountain-moving endeavours to keep a lid on debt last year, with infrastructure investment rising by just 3.8 per cent, down from 19 per cent the year before. Li last week touted China's "massive market" and vowed to spur on consumption, but the data shows difficulty ahead. "The slowdown in credit growth is causing economic momentum to falter," said Mark Williams, chief Asia economist at Capital Economics, in a note last week. Tighter credit has hit consumer spending with car sales falling last year for the first time in more than 20 years. Output at factories and workshops ticked up 6.2 per cent for the year, down from 6.6 percent in 2017. Even Li said in 2007, when he was Liaoning's top political official, that results were often "man-made" and he used his own calculations to guide provincial policymaking, according to a confidential memo released by WikiLeaks. "The NBS is part of the government... that is why it is legitimate for the outside world to worry about potential adjustment of data on the economy," said Louis Kuijs of Oxford Economics. The US-based Conference Board, a widely respected global business think tank, said its methodology indicates growth of 4.1 percent for 2018. On Friday, China revised its 2017 economic growth down to 6.8 per cent from 6.9 per cent - a move some analysts say may have been aimed at beefing up this year's growth rate. "Sceptics will be forgiven for questioning whether NBS is trying to smooth GDP growth by shifting some of the recent weakness into the 2017 figures," said Julian Evans-Pritchard of Capital Economics in a note.